The American-Scottish Foundation® offers a platform for discussion and exchange, the world of business, commerce and innovation has been a core part of the ASF program of work. The ASF undertakes annual forums and conferences as well as events to spotlight new and historical issues, innovations especially those surrounding energy and conservation. Transferring our Scottish Heritage to the Next Generation Through Music, Arts & Culture. Utilizing panels and the presentations with performances by musicians and artists representing the traditional and modern Scottish performing arts. Leadership Conference Reception and Banquet with whisky tasting, Entertainment by Michigan's premier youth fiddle performers, The Chelsea House Orchestra. An opportunity to discuss and summarize reflections on the theme, a time to draw lessons on how Scottish North American leaders can utilize the arts to promote a broad multi-generational interest in Scottish Heritage and Cultural Tourism. The 2016 World Canals Conference took place in Inverness, Scotland, from September 19-22, hosted by Scottish Canals. Scottish Canals is responsible to the Scottish Government for the management and development of the nation's waterways themselves, which includes 251 bridges, 212 buildings, 256 locks, The Falkirk Wheel, The Kelpies and 19 water supply reservoirs in locations across Scotland. Steve Dunlop, Chief Executive of Scottish Canals, said: "We're absolutely thrilled to be hosting the 2016 World Canals Conference and it's shaping up to be the best yet, with a host of world-renowned speakers set to join us amidst the myth and majesty of the Scottish Highlands in September. "From Panama to Paris, there are a huge number of innovative projects taking place on canals all over the globe and waterways continue to play a vital role in the communities that line their banks." He will draw on his extensive experience in leading the transformation and regeneration of New York and New Jersey's waterways and 700 miles of shoreline into a vibrant, healthy, resilient, and accessible resource. Since the Waterfront Alliance's inception in 2007, the Alliance has grown into a coalition of more than 900 organisations working together to bring about real change in New York and New Jersey. Alexander 'Pete' Grannis, First deputy comptroller for New York State Office of the State Comptroller (OSC), Commissioner on the Erie Canalway National Heritage Corridor Commission and former Commissioner of New York State Department of Environmental Conservation. Grannis will speak on day four of the conference, joining the likes of Professor Mark Horton - presenter of BBC's Coast - and the Heritage Lottery Fund's Dame Seona Reid. Completing the trio of speakers from the Americas is DanielFábrega, the Panamanian Ambassador to the United Kingdom who will be speaking about the Panama Canal extension. Before his appointment as Ambassador, Mr. Fábrega served as the Vice President for Exports for Varelas Hemanos S.A. Mr Fábrega will speak of the vital role of the Panama Canal in his nation's economy during day two of the World Canals Conference. The national tourism organisation is leading the ten-day mission to the United States and Canada, which will see businesses from Edinburgh, Glasgow, the Highlands, the Borders and South Lanarkshire hold meetings with key tour operators in Montreal, Toronto, New York and Boston. New figures* show that the number of visitors to Scotland from North America increased by 1.3 per cent in the first half of 2016, with spend up by nearly a quarter (24.9 per cent). 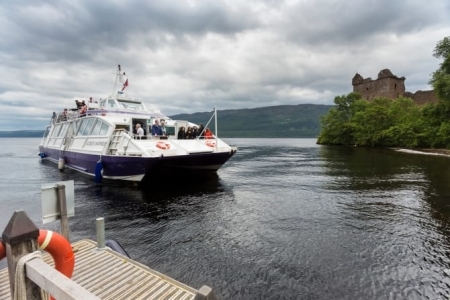 The mission will help members of the Scottish tourism industry to “internationalise” their respective products by making connections in the North American market. The business development mission takes place as John Thurso takes part in his first overseas engagement as Chairman of VisitScotland, giving the keynote address to the Scottish North American Leadership Conference in Chicago this weekend. Titled ‘Many Voices, One Vision’, the two-day Chicago event aims to identify ways the Scottish North American community can continue to promote awareness and understanding of Scotland and Scottish culture. 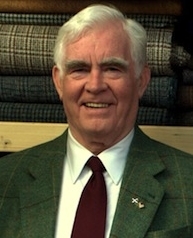 Addressing groups such as Chicago Scots, the Council of Scottish Clans and Associations (COSCA), the Saint Andrew’s Society of the City of Milwaukee and the American Scottish Foundation, Lord Thurso will highlight the vital role Scottish diaspora networks play in promoting the country around the globe. 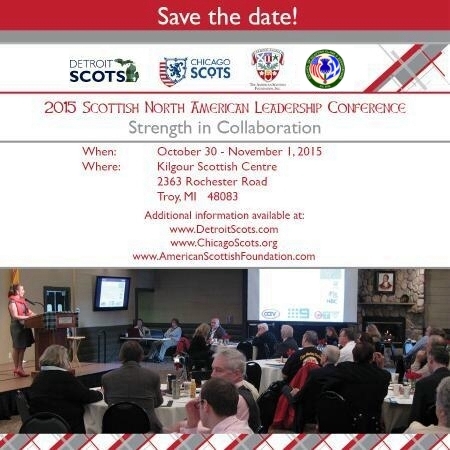 The 12th annual Scottish North American Leadership Conference will be held at the Kilgour Scottish Centre, home of the Detroit Scots: The Kilgour Scottish Centre, 2363 Rochester Road, Troy, Michigan 48083. Tel: 248-526-1849. The Conference theme is "Strength through Collaboration". The Conference opens on Friday, October 30 with a banquet dinner. Key Note remarks will be delivered by former Scottish First Minister, Henry McLeish. Saturday features panels and discussions focusing on "Collaboration or Competition"; "What Sponsors Want"; and "Communicating with our Constituencies." On Saturday evening we will host a Halloween party at the Kilgour Centre. The Conference ends Sunday, November 1 at Noon following a recap of the prior day's discussion designed to lead to a formulation of action points and next steps. We urge you to add your voice to the conversation. Please reserve directly here using this form. Space is limited. Discussions 9am-4.30pm. Talk & Reception 5.30-8pm in association with the University of Aberdeen. Click on the banner for details. 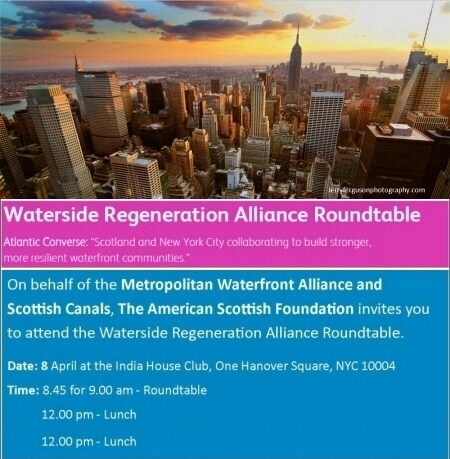 The Waterside Regeneration Alliance Roundtable is a collaboration between the Metropolitan Waterfront Alliance and Scottish Canals which is being hosted in NYC as a part of the Scotland Week celebrations, a celebration of Scotland in New York. The Roundtable will be a forum for sharing knowledge from both Sides of the Atlantic on waterside regeneration as a vehicle for building stronger and more resilient waterfront communities. The Roundtable will use a combination of key note speakers, using vibrant case studies to explore best practice and future innovation opportunities, which will be part of this useful knowledge exchange opportunity. The Roundtable will seek to establish ongoing opportunities to collaborate and knowledge share on the subject of waterside and urban regeneration generally. 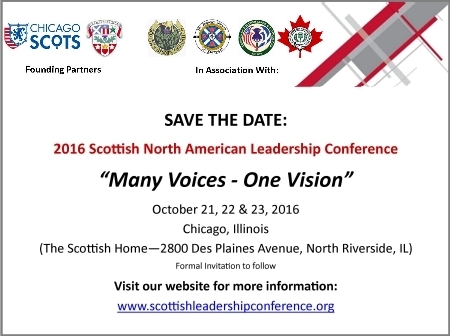 Prominent Scots from across the United States are meeting near Chicago this weekend for the Scottish North American Leadership Conference. Here, President of the American Scottish Foundation (ASF), Alan Bain, fills us in on his organization and the importance of the event. How can energy partnerships help build bi-lateral trade to reach investment opportunities, stimulate growth, and create a vital dialogue with policy makers on the reality of what it might take to re-imagine our energy future? Expanding upon ASF’s successful inaugural Energy Forum 2011, leading speakers in business, government, and academia coming from both Scotland and America will explore and discuss relevant and timely issues such as the pioneering role of the world's first Green Investment Bank headquartered in Edinburgh, Scotland; the future of offshore wind; creating smarter cities and educating the next generation of energy leaders. Attendees are invited to join senior energy leaders and policymakers for a thought-provoking day of dialogue, discussion and debate. To Register for the Forum, place Advertising in the Program or learn of Marketing Sponsorship Opportunities please complete the forms linked here. Individual Registration is also available online through our secure Paypal connection. The Fall of 2011 saw ASF undertake the inaugural ASF Energy Forum in New York. The American-Scottish Foundation® brought together senior energy decision-makers and thought leaders at the SUNY Global Center on Monday, October 31. Panelists on the role of environmental advocacy included leading industrialists Lord Smith of Kelvin, Chairman, Scottish and Southern Energy and The Weir Group; Alexander 'Pete' Grannis, First Deputy Comptroller, New York State and former New York State DEC Commissioner, and Carl Arnold of the Sierra Club, New York. The 10th Annual Scottish North American Leadership Conference will take place at the Kilgour Scottish Centre in Troy, Michigan, on Friday, October 26-28th, 2012. The conference is an opportunity for those of us in the Scottish-North American community to share views, values, experiences and best practices. The Conference aims to raise awareness of Scotland and Scottish culture; to develop a better understanding of the roles, objectives and operations of the various government, academic, non-profit and private sector organizations that operate in the Scottish-North American community and to identify opportunities to enhance communication and collaboration within the community. 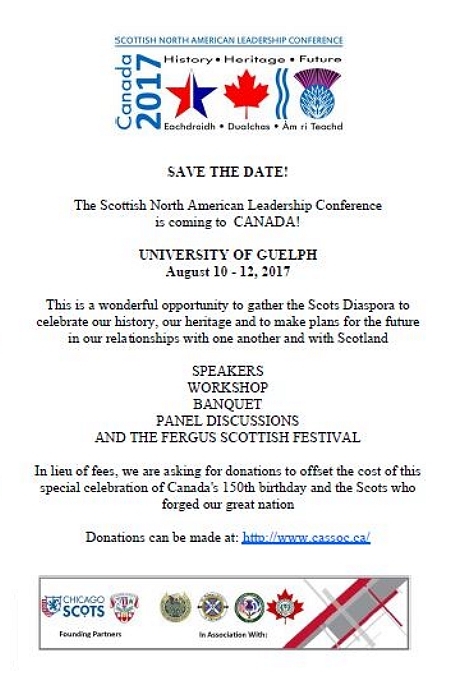 The Conference is presented by founding partners, the Chicago Scots and the American-Scottish Foundation®, in association with hosting partners, the Detroit Saint Andrew’s Society and the Scottish Studies Foundation in Toronto. Click on the banner above for more details and to make your reservations. 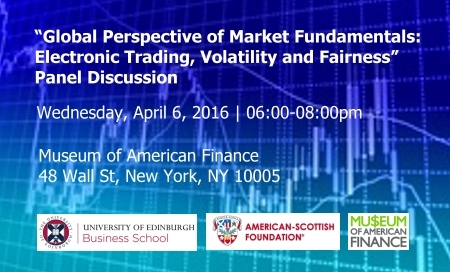 The annual Tartan Week in April offers a platform for discussion and exchange of ideas on key business issues. In 2011, ASF partnered with the Museum of American Finance, showcasing the exhibit Alexander Hamilton: Lineage and Legacy. A lecture and reception in historic Wall Street Museum brought together the Scottish and American Hamilton family descendants for the first time in 300 years. Alexander Hamilton is related through the second Duke of Hamilton to the Foundation's founder, Lord Malcolm Douglas-Hamilton of the Ducal House. During Scotland-Tartan Week 2012, ASF the ASF is once again working with the the Musuem of American Finance, turning the spotlight onto the Life and Legacy of Andrew Carnegie.